Promoted by ESSO (the European Society of Surgical Oncology) and the surgical task force of SIOG (International Society of Geriatric Oncology), GO SAFE (Geriatric Oncology Surgical Assessment and Functional rEcovery after Surgery) is a new research study that will evaluate postoperative functional outcomes and quality of life after cancer surgery in geriatric patients. Given the progressive aging of the world population, national healthcare systems have to cope with an increasingly old population of cancer patients. The presence of comorbidities and frailties in the “over 70” age-group is often responsible for poor postoperative outcomes. Moreover, in spite of the progress achieved in surgical oncology, senior adults affected by cancer are often treated sub-optimally. Apart from survival, quality of life and functional recovery after surgery are rarely reported, and there is a general lack of knowledge about postoperative outcomes in older cancer patients. Recently launched under the lead of the Chief Investigator Prof. Giampaolo Ugolini (Bologna, Italy) as well as several ESSO experts – including the immediate Past President Prof. Riccardo Audisio (Liverpool, UK) – GO SAFE is an international high-quality registry which addresses this problem and prospectively investigates how frailty, comorbidities and malnourishment are associated with clinical outcomes after surgery for solid malignancies in this patient population. The study enrolled its first patient in February 2017, and it involves units from various countries that perform cancer surgery in elderly cancer patients. In particular, Go Safe focuses on patients’ quality of life and functional recovery, comparing the pre- and postoperative situation through a self-reported assessment tool. 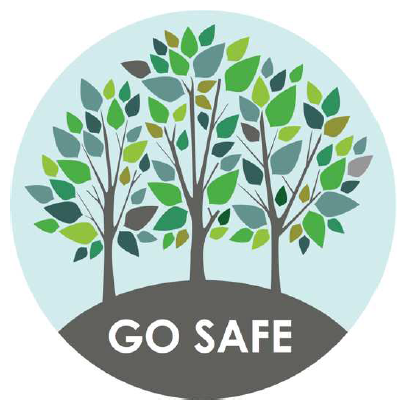 The findings of GO SAFE will assist clinicians in assessing patients as well as in tailoring their care, avoiding under/overtreatment and identifying new strategies to improve functional outcomes. Its final objective is to ensure as much as possible a satisfactory quality of life after treatment as well as the conservation of independence to onco-geriatric patients.